Planet Earth is facing a shortage of people who make things. People like scientists, software developers, architects, and engineers. People who use their brains and hands to make greatness happen. To increase the world’s supply of problem solvers, the organizers of WindyCityRails partnered with a group of energetic college students, the founders of Monkey Bars. 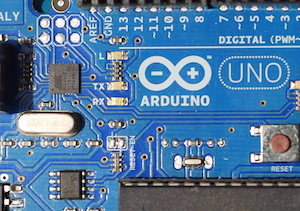 The result: Together, we launched the first WindyCityRails Youth Program featuring the Arduino microcontroller. The youth who participated in the program were engaged and enthusiastic. The Monkey Bars team introduced the youth to the Arduino micro-controller and related hardware. At the end of the program, parents arrived to take their kids home, and the kids were reluctant to leave! They were absorbed in their Arduino projects. Even better, friendships formed between the youth participants. It’s exciting to think about the new companies that may have been launched that day! Planning for next year’s WindyCityRails, including the Youth Program, is currently underway. If there are things you’d like to see in next year’s program, feel free to contact the WindyCityRails organizers.